We all know how important it is to keep our pets healthy and safe. Did you know that these foods are bad for pets? This handy infographic gives 10 foods you should avoid feeding your pet, however there are others depending on what type of pet you have, so be sure to ask your veterinarian too! Food that contains xylitol like candies, toothpaste, gum and so on are truly harmful for the pets. This will make your dog to reduce the blood sugar levels. Keep your dogs away from alcohol as this will affect both the liver and the brain of your pets. Alcohols such as liquor,wine and even food that contains alcohol is very bad for the dogs. Also avoid onions and garlic as this will kill the red blood cells in the pets and may also cause to anaemia. So be careful while feeding your pets with different food as they may contain onion or garlic. Food that contains caffeine like coffee and tea are very dangerous. In addition to that some other food that contains caffeine includes chocolate, cocoa powder and energy drinks should also be avoided. Never allowed your dog to drink milk or consume dairy products. As the milk-based products will create digestive problems and also leads to diarrhea. Moreover your pups may also catch up with food allergies. Fat trimmed from from meat will also make your dog feel sick. Even though it is cooked or uncooked they are completely bad for the dogs. This will cause digestive problem and make your dog too week. Fresh fruits like apple, banana, watermelon and orange seems to be good food for the dogs. But still you have to take something care by removing the seeds and leaves while the dogs eat them. Some fruits are also not good for your puppies. There are some fruits like peaches, plums and persimmons that will block the digestive system. These fruits also contain cyanide that will poison the dogs. Raw egg also has chance of food poisoning as this contains bacteria like salmonella or E. coli. 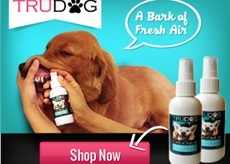 Even though it is good for human beings it is not well recommended for pets. So always keep your dogs away from raw eggs. The medicines that you give to your dog will really have bad impact on them. In fact the medicines will make them feel more and healthy. Just be careful and keep all the medicines out of your dogs reach. Just as important to survival as food and water, sleep plays a critical role in the health and wellbeing of almost every animal. Sleeping patterns may vary wildly throughout the animal kingdom, but at the end of the day all creatures – no matter how big or small – share the need for sleep. Over the years, animal experts have conducted countless studies looking into the subject of animal sleep and have found many unique and fascinating sleeping patterns. Many members of the natural world have evolved to be incredibly light-sleepers for survival reasons. For example, did you know that dolphins and whales can only rest one-half of their brain at a time? In this state of “sleep-swim”, they can never enter a deep sleep. Another impressively light-sleeper is the giraffe which can go for weeks without sleep and they doze off for longer than 5 minutes at a time. On the flip side, there is also a wide range of animals that enjoy long periods of sleep. For example, the Little Brown Bat is famous for its unusual sleeping position (it hangs upside-down) and typically snoozes for an astonishing 19.9 hours every day. If you are interested in learning more about the sleeping patterns of animals, why not check out this super interesting infographic from the guys at Greyhounds as Pets. This informative guide looks into weird and wonderful animal sleeping patterns and also explores into the curious topics of hibernation and dreaming. Read the infographic below for more. We love these great tips from PetPlan. They will help you get ready to celebrate “Take your pet to work day” on June 22nd!